Hi everyone! Today I wanted to share a fun animal classification unit I created. 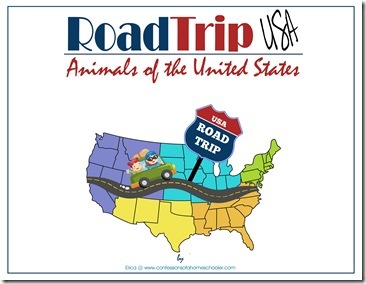 Although my Expedition Earth and Road Trip USA curricula include quite extensive animal units, I needed something that included a little more detail on the classification of animals along with something hands-on for my younger students. You can use this animal classification unit however best fits your needs. It is a great supplement to a curriculum teaching students about animal classes. It can also be used on it’s own as a small unit on animal classification. Here are a couple ways you can use this document to create a fun hands-on learning project for your students. 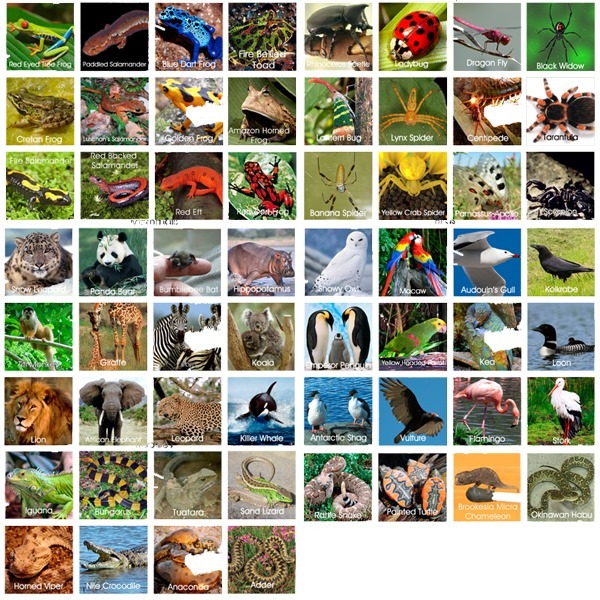 The study also includes 72 colorful pictures that students can add to a notebook, wall display, or Lapbook for each of the various animal classes. Here are some of the fun things you can do with this unit! Add 5 blank sheets of copy paper in between the construction paper cover and backs. Staple booklet along the left edge to create a booklet. 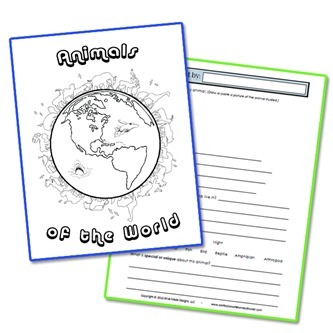 Color and glue the cover page of this document to the front of your animal book. Read through the information for each animal class. As you proceed through the lessons, have students cut out the title block for that class along with the associated animals and glue them onto the appropriate pages in their animal book. Use two file folders to create a double Lapbook. Lay one file folder flat on the table and fold each side in so they meet in the center. Do this with the other file folder, then glue the folders together along one of the folded edges. Print the cover of this document and have students color and glue it to the front of the created Lapbook. Inside paste the various title blocks for each classification leaving space to fit animals for each. As you study through the classes, have students cut and paste associated animals underneath each category heading. Independent research: Although several images for each class are provided in this unit, you might also have students search for their own animals using magazines, newspapers, and internet resources. Create an animal wall: Using bulletin board paper, create a fun bulletin display in your classroom! Add a fun border, then tape the classification headings to the bulletin display. 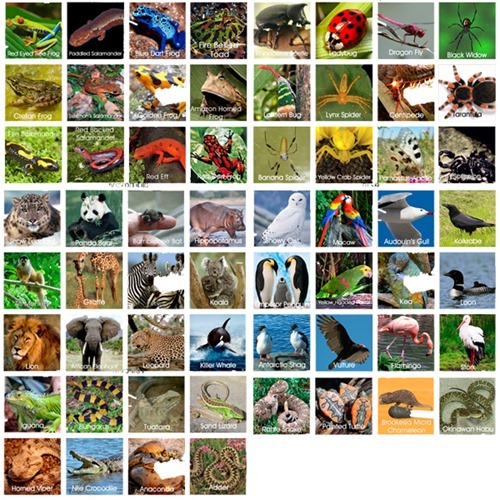 As you learn about the various animals, have students add them to your animal wall display. 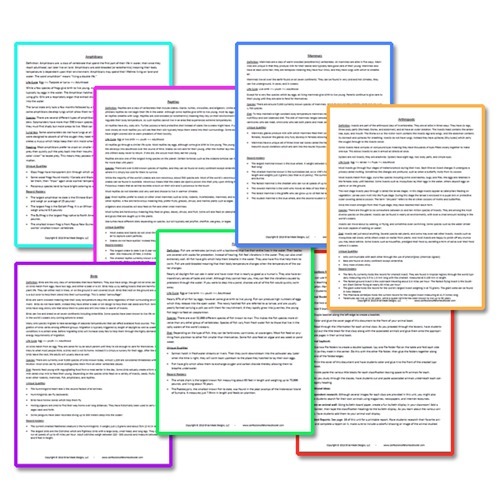 Student Reports: Included in this unit is a printable report. 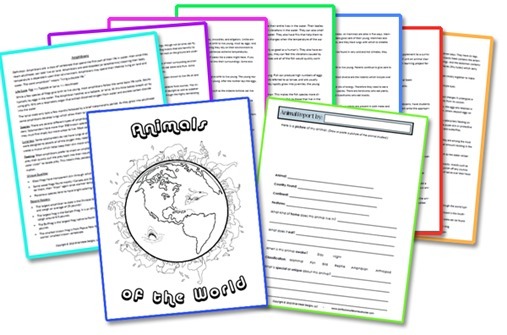 Have students research their favorite animal and complete a report on it, make sure to include a colorful drawing or image of the animal studied. See them in person: Grab a pencil, clipboard, and the below zoo checklists and take them on a field trip to your local zoo to see how many you can see in person! 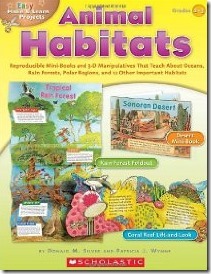 A great supplement to this unit are the 3D Animal Habitats from Scholastic. They include interactive mini-books for caves, cities, coral reefs, deserts, grasslands, islands, marshes, mountains, oceans, polar regions, ponds, rivers, seashores, tropical rainforests, and the tundra. I believe it is recommended for grades 2-3, but I think they’re fun for most elementary level students. 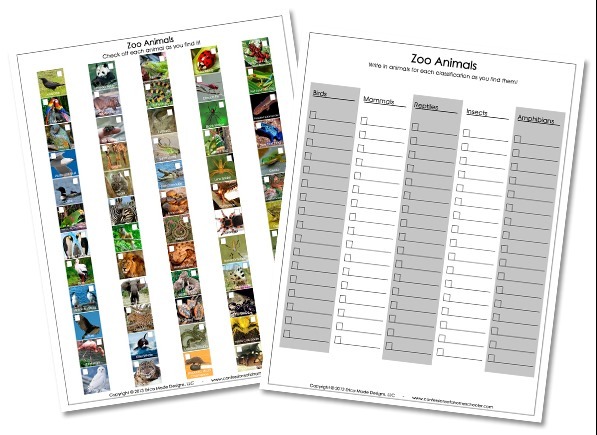 I hope you enjoy this unit on animal classification in your homeschool! Have any animal study ideas to share? Make sure to leave a comment below! Thank you so much!! My 4-year-old son is going to love this. It will be perfect to use in conjunction with that zoo season pass and fill the gap before we get started on an “official” science curriculum. Thanks again. Thank you so much for this!! This will be great with our science next year from Answers in Genesis! Thank you so much. Love the work that you do. Thank you so much for this wonderful gift to all us homeschoolers. This is wonderful…..Are those colored pics available already printed for purchase? Hi! So sorry, no they’re not available for purchase, this one is just a freebie, so you’ll have to print yourself. Thank you so much for sharing this! We will use it in our animal study at our co-op. Your curriculum has been such a blessing to our home school co-op. We use it in our preschool, geography, and art class! I love your new inventors unit too! Thank you! I just recently found you through You Tube, and as a parent who has just started homeschooling you are amazing! Thank you so much for sharing. Thanks so much for all of the resources that you share. I love all of the printables! Thanks again.